Unlike Belgium – where internal linguistic and cultural diversity has been hindering politics on a national level for decades – Switzerland, with its four native cultures and languages, appears to be surprisingly stable. Dividing or unifying the country with France, Germany and Italy has never been a thinkable debate for Swiss citizens and politicians. Instead, through its history, Switzerland has flourished in being a melting pot of different cultures and so we decided to expand our translation agency in Zürich. Zürich is Switzerland’s biggest city with a population of over 380,50. By 2008, 31% of the city’s population was made up of non-Swiss from a total of 166 different countries, all of whom contribute to Zürich’s multi-cultural spirit: a big reason why Expert Language Solutions chose to expand services to the city – it’s a perfect location for a translation agency in Zürich! Germans make up the majority group with 27,870 living in the city, followed by Italians 13,598 and Serbia and Montenegro with 10,245. According to a recent figures, German is spoken by about 64% of the population, French by about 23%, and Italian by about 8%. Romansh is spoken by less than 1% of the total population. Zurich is the pulse of Switzerland and the economic hub of the German-speaking region. Many international companies have set up shop here and rely on a translation agency in Zürich. 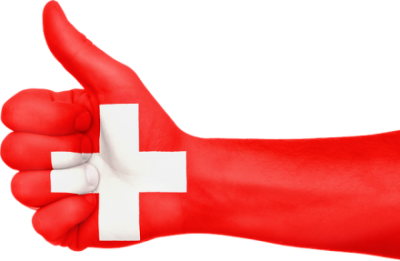 It would be wrong to assume that every Swiss speaks all four languages although undoubtedly there are many who are talented and fortunate enough to do so! Indeed, the Swiss tend to remain in their own language regions and consume media in their native language wherever possible. Bilingualism is, however, common enough in many parts of Switzerland, and there is a general tolerance among the population of each other’s languages. In Zürich it is clear that without speaking German you may confront significant obstacles in conducting business. Indeed, connections and contacts in Zürich are essential to growing your business and establishing long-term trusting relationships. However, if you haven’t mastered the language yet then don’t hesitate to employ a qualified interpreter for your next meeting and ensure you have your business cards and corporate material prepared in advance by our translation agency in Zürich. You’ll discover that the Swiss cherish and protect their identity. They have a clear concept of their position outside of the European Union as well as a distinct definition of culture and national food – banking, watches, cheese and chocolate come to mind. But, of course, Zürich is much more than that: an ever-growing fusion of cultures and languages in this beating Züri Stadt that have an increasing need for a translation agency in Zürich.